House Republican leadership on Monday rolled out a plan to repeal and replace the Affordable Care Act (ACA), also known as Obamacare, after months of planning and negotiation. But the new bill, called the American Health Care Act (AHCA), has drawn sharp criticism from not only Democrats but many Republican politicians as well. Hard-line conservatives who have vowed to fully repeal Obamacare seem to have issues with the law, though some have backed down slightly on earlier criticisms. Rep. Mark Meadows, head of the influential conservative House Freedom Caucus, told Fox News' Sean Hannity that the AHCA "sets a new entitlement, keeps some taxes, doesn't repeal all of Obamacare." Meadows emphasized that the bill did not go far enough. "We've got to do better, and hopefully with some new amendments we can do that," Meadows said. In the same interview with Hannity, Rep. Louie Gohmert, a conservative firebrand who is not a part of the House Freedom Caucus, criticized the bill and said he had already heard concerns from constituents. The House Freedom Caucus is expected to hold a press conference at 3:30 p.m. ET to lodge complaints about the bill, according to Politico. If all Democrats vote their party line, the House GOP could not afford to lose the Freedom Caucus membership. Additionally, the Republican Study Committee — a conservative caucus with 172 members — released a memo criticizing the AHCA, as well — specifically the tax credits proposed for individuals to buy healthcare if they do not receive it from their employer or a government program like Medicare or Medicaid. "Writing checks to individuals to purchase insurance is, in principle, Obamacare," said the memo, which went on to criticize the cost of the credits. The RSC memo also attacked the fact that the new bill will allow the ACA's Medicaid expansion to last until 2020, saying it will continue to "contribute to the worsening of the federal and state budgets." Other House Republicans were more aggressive in their criticisms. Rep. Justin Amash, a long-time critic of Obamacare and House Freedom Caucus member, tweeted that the AHCA was "Obamacare 2.0." And Sen. Rand Paul — who has been railing against the House plan since a draft of the bill was leaked — tweeted on Tuesday that he did not support the House GOP plan. "House leadership plan is Obamacare Lite," Paul tweeted. "It will not pass. Conservatives are not going to take it." In an interview with "Fox and Friends," Paul also criticized a provision in the AHCA that allows insurance companies to charge people who do not maintain continuous health coverage premiums up to 30% more than if they had kept coverage. 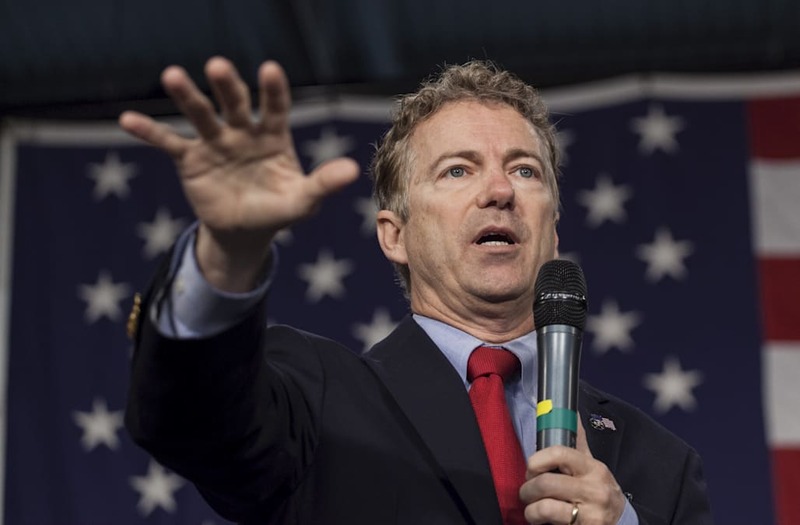 Paul said that instead of Obamacare's individual mandate, in which a consumer who does maintain coverage pays the government a penalty, this provision would amount to a mandate that benefitted insurers and is "likely unconstitutional." "So much of their bill is a bail out for the insurance companies," Paul said. On the other end, four GOP senators wrote a letter just before the release of the House GOP's bill saying they would not support the leaked draft of the bill due to its inadequate protections of the ACA's Medicaid expansion. The expansion has allowed 11 million people to access health insurance and has become popular in states that have expanded coverage. While these senators have not commented on the new bill yet, the AHCA does not make many major changes to the leaked memo's Medicaid expansion phase-out, which would end the current federal funding program in 2020 and shift funding to a per-capita program in 2020 that experts say would most likely be less generous.